Now, here is one strange bird. Its "beard" is actually skin that hangs and not feathers. The color gets darker as they age. 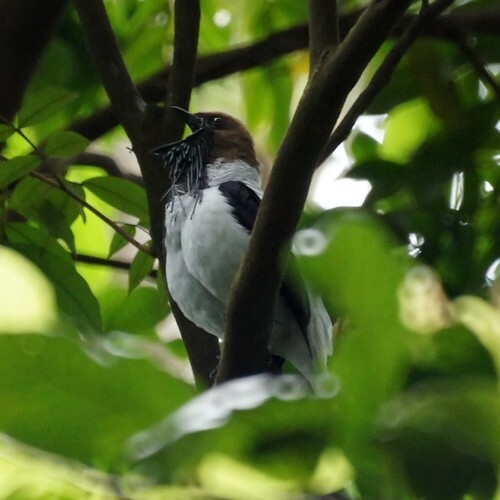 It is the loudest bird and can be heard all over the forest from a great distance. However, without our excellent guide, Molly, from Asa Wright, we would never have seen them even though they were practically right on top of us. They are like ventriloquists and throw their voices, so we were looking too high.